 Welcome Home to Madison at Stone Creek! Our spacious, thoughtfully-designed apartments, located in Austin, TX, offer one, two, and three bedroom floor plans. Features include all electric kitchen, 9 ft. or vaulted ceilings air conditioning, over-sized garden tubs, generous walk-in closet, and private balcony or patio. Select apartments offer in-home washer/dryer and wood burning fireplace. At Madison at Stone Creek you are privileged to many community amenities, including shimmering swimming pools, state-of-the-art fitness center, indoor sauna, laundry facility, and gated access. Residents also enjoy planned monthly events. Our pet-friendly community welcomes you and your four-legged family member.